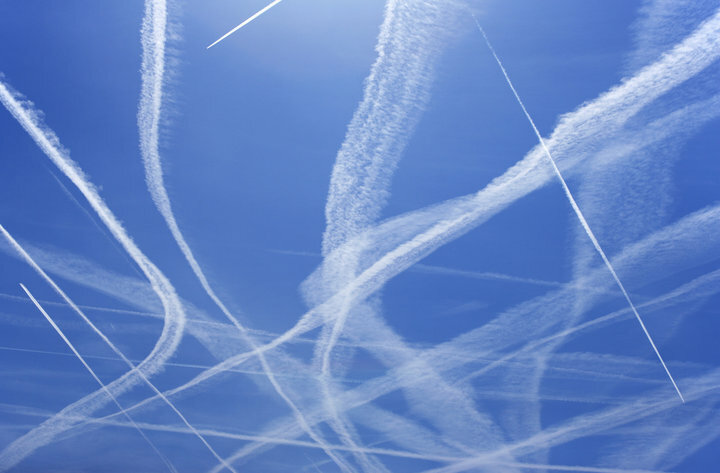 Chemtrails are a term for stratospheric aerosol injections otherwise known as geoengineering. These white lines that are stretched across the beautiful, blue sky have long been mistaken as simple contrails which are water vapor left behind from airplanes, but they are clearly different. For instance, when observing a contrail, one will notice that the white line disappears or fades away after a couple of minutes but chemtrails have a much more different effect. When observing a chemtrail, one will see that not only does the white line remain in the sky for hours on end, but the color of the sky will actually change to a milky, hazy color or bizarre, nasty looking clouds will form right where that beautiful, blue sky used to be! Geoengineering and weather manipulation is nothing new but has been around for over 150 years. Weather modification has been something that the United States and many other governments have been working on for years including Project Stormfury which is a U.S. project that focused on controlling the storm paths of hurricanes. Since geoengineering and weather modification goes back so far, it is clear what the agenda is for weather manipulation. HAARP, or High Frequency Active Auroral Research Program, has been known for its testing with geoengineering. Geoengineering is the alteration or manipulation of the weather. HAARP was a facility that used ionospheric heaters to change the weather. 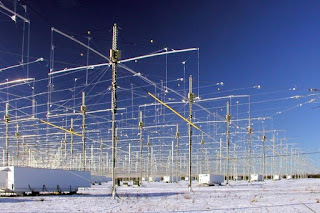 Although we are told that HAARP shut down years ago, there are many more facilities just like this all over the world. For instance, there’s the Sura Ionospheric Heating Facility in Russia, the High Power Auroral Stimulation Observatory, or HIPAS, in Fairbanks Alaska, the Arecibo Observatory in Puerto Rico, and EISCAT which operates many facilities across the world stemming from Sweden. Global Warming is a lie created specifically by the Club of Rome. The propaganda portrayed by the mainstream media about Global Warming is that the population must pay carbon taxes to Al Gore as if they would use that money to prevent the earth from rapidly heating. HAARP controlling the weather is a powerful weapon that can be and will be utilized by the powers ruling our world. By controlling weather, governments can cause fake natural disasters and have massive impacts on agriculture and growing food by changing the climate. Using false disasters would be a great way to open FEMA camps and begin full-phase New World Order with everyone enslaved. Some declassified documents from the U.S. government detail injecting nano-fibers and mechanized dust into the air. These nano-fibers are being sprayed into the air and are found in chemtrail samples. 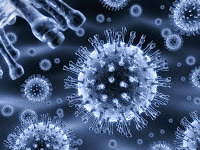 Biometric Application Programming Interfaces, or BioAPIs, are sprayed onto people through nano-bots released through chemtrails making it easier to manipulate and control the minds of humans. 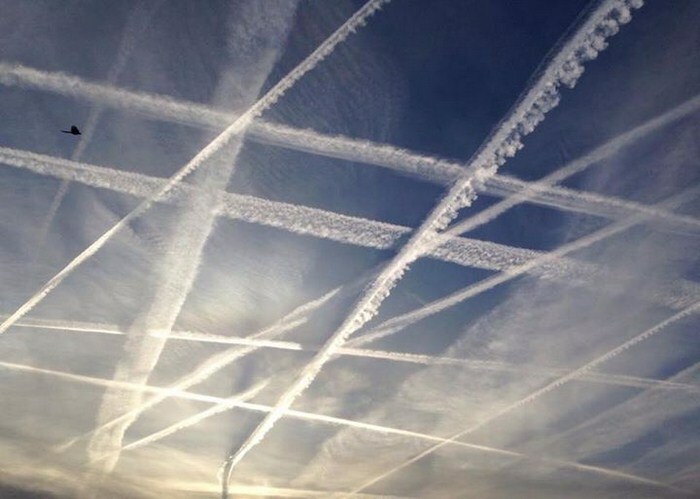 There have been declassified government documents proving the existence of chemtrails, yet it is still considered a “crazy conspiracy theory.” Yes, of course. I’m crazy for reading into government documents talking about injecting the air with poison. One document released by NASA in 2001 speaks of spraying small dust into the air which is inhaled into the lungs. This is described as a new use of weaponry which is totally legal. It says that this form of advanced warfare will take place at around 2025 but could it be happening before then? This form of weaponry could be being used right now by the military or secret projects. This document was released in 2001 and it’s been over 15 years. This plan to use warfare by emitting chemicals into the air through spraying has been underway for a long time and I do not doubt that this not only has been developed but it is most likely what is being sprayed in chemtrails. Chemtrails are indeed real and geoengineering has been taking place for years and is an ongoing reality. Chemtrails are just a small fraction of what is being done to the populations of the world. Whether or not we are being sprayed for mind control or weather modification, we do know that the skies above our heads are being sprayed with chemicals. Thank You for the info. Very easy to consume.